Many people believe dinosaurs are still alive today, and not just the people that have researched Mokele-mbembe (the sauropod from the Congo) or the Loch Ness monster (that has been described as a plesiosaur in Scotland). True evolution believing scientists think dinosaurs are still alive today, the only difference is they call them birds. Operational science deals with processes that can be tested, studied, and observed, yet this is not possible with the evolution of skeletal structures. Even in species alive today there can be a huge variety in the skeleton even within the same species (e.g. Collie and Bulldog). In the beginning God created the animal kinds (not species) with a large variety of genetic information so they can produce a variety of species within their kind (order/family). Since animals have a common designer we expect similar structures in different kinds of animals. For this reason it would be nearly impossible from morphology alone to determine if the animals have a common ancestor. The word 'dinosaur' covers a very large number of species. Unfortunately many species are clumped into the 'dinosaur' label because of an evolutionary presupposition that dinosaurs evolved into birds. It is very possible that fossils that were originally identified as 'reptile-like' are in reality an extinct form of bird. If a fossil is found that contains feathers, then that fossil is by definition a bird. 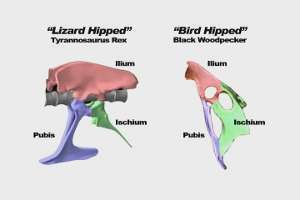 With two types of dinosaur hips (saurischians or ornithischians) neither of them are close enough to a modern bird hip as can be explained by several slight evolutionary modifications. 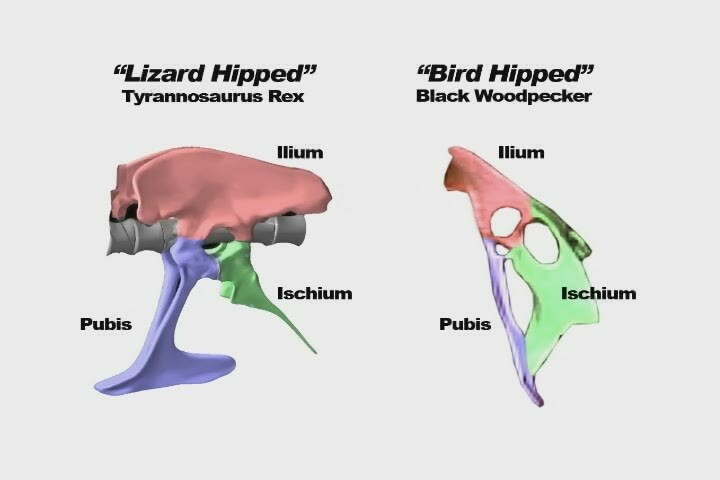 The hip of a theropod dinosaur (dino's with two big feet and two small hands that supposedly turned into birds) is less similar to a bird hip than the larger dinosaur family that have all four feet on the ground so it is somewhat ironic that they still consider theropod dinosaurs to be “lizard hipped”. The “bird hipped” pelvis has a the pubis bone facing backwards whereas the “lizard hipped” pelvis has the pubis bone facing forwards. Not only would changes in bone structures be detrimental to stability, but this type of change would have had to occur multiple times in the ornithischians (Ornithopods), the therizinosauroids (Segnosaurs), and in dromaeosaurids (Velociraptors) that all would have evolved at different times. 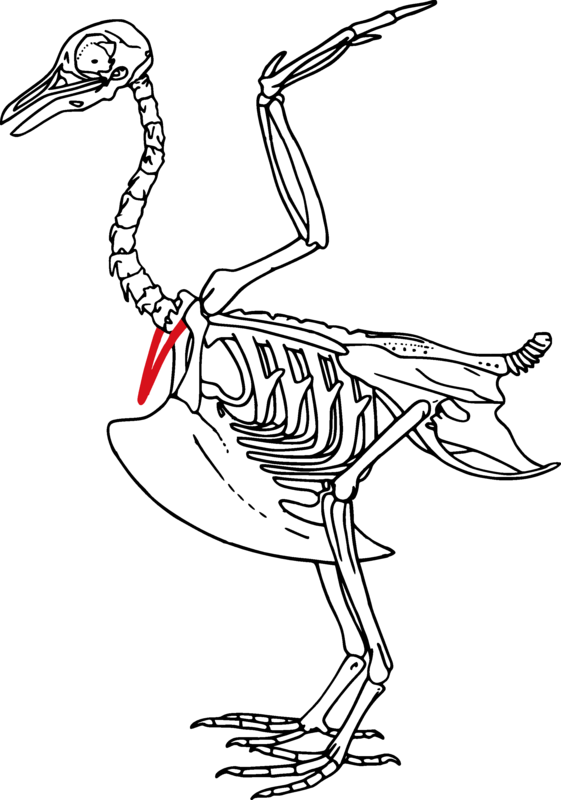 Scientists have never observed a hip structure change from a “bird hip” to a “lizard hip”. At first glance you may notice that dinosaur knees face forward like ours and bird knees face backwards but if you look a bird skeleton you will see that the knee is not visible and the joint that bends when running is actually the ankle. 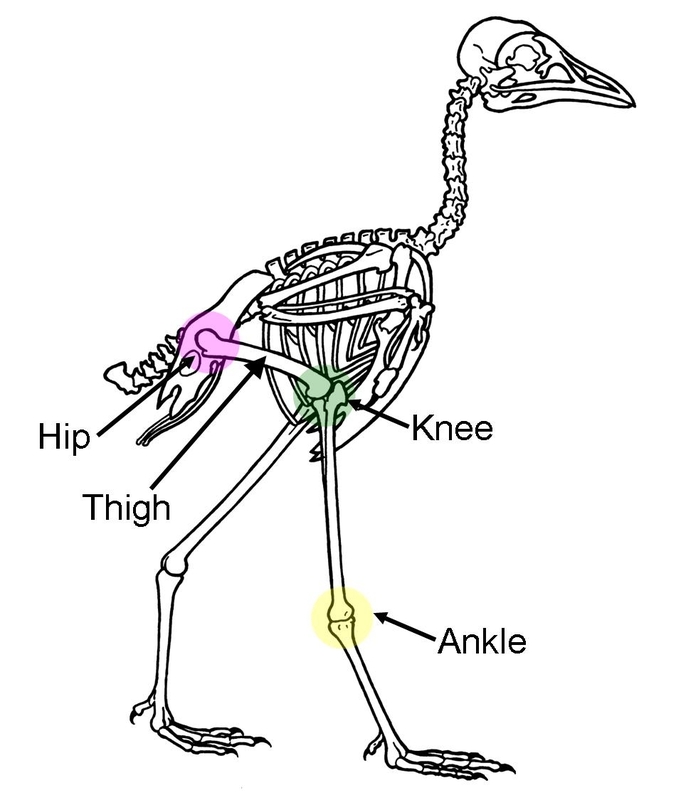 While it may be difficult to explain why a bird would evolve a long rigid foot bone and have such a high ankle the problems are even more physiological. The rear of a bird is filled with posterior air sacks that are critical to its respiratory system. 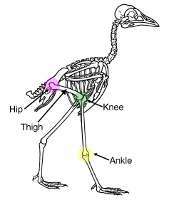 Birds thigh bones are fixed in position to support the air sacks unlike dinosaur (and human) thigh bones that move while running. The reason birds are ankle runners instead of knee runners is because if the bird femur moved while running the air sacks would collapse. These systems would could not have evolved separately but both would have had to form at the exact same time for the bird's survival. Scientists have never observed an animal change from a knee runner to an ankle runner. Humans have five finger digits labeled from thumb to pinky I, II, III, IV, and V. Since most animals have a common design they also share common arm/wrist/hand structures. 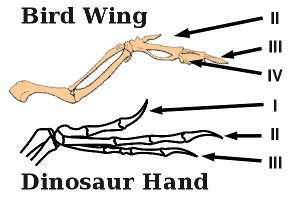 Some people that believe in evolution have attributed this to a common ancestor and therefore label dinosaur and bird hand digits using the same numbers 1 through 5. This becomes a problem for evolutionists because developmental observation has shown birds have digits II, III, and IV while fossil evidence indicates dinosaurs have digits I, II, and III. 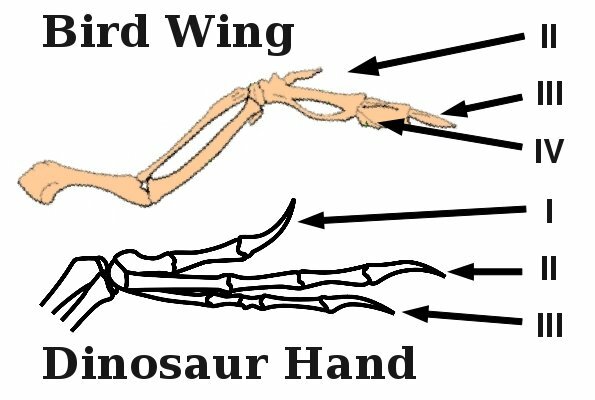 If dinosaurs evolved into birds then the dinosaur hand would have had to evolve a fourth digit and loose the first digit. Since the finger digit number is determined by where it is placed on the wrist, others have suggested that bones have been added to one finger and removed from another while still attached to the same place on the wrist. Scientists have never observed a finger change positions. Birds have hollow bones that contain struts or trusses. This design provides extra strength and a light weight similar to what we use in building houses and bridges. Ironically sauropod dinosaurs (that are not believed to have evolved into birds) also had pneumatic bones. 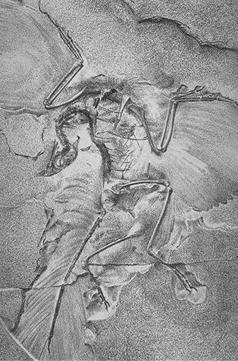 The only “theropods” with pneumatic bones are are considered by most to just be unusual birds (Archaeopteryx, Conchoraptor). These kinds of genetic features cannot evolve due to environmental changes or necessity. 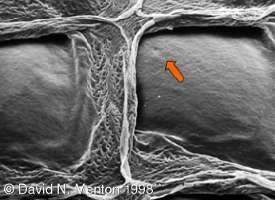 Scientists have never observed marrow filled bones change into hollow bones with trusses. 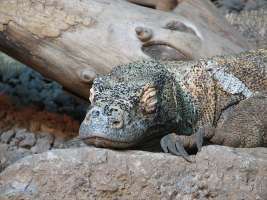 Most reptiles like the Komodo Dragon are very lethargic and have a slow metabolism unlike birds. 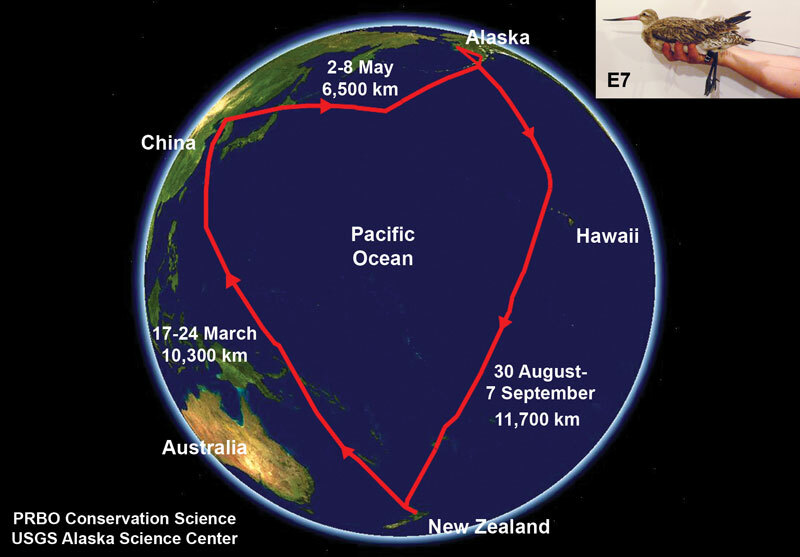 The Bar-tailed Godwit is a bird that makes a 15,000 mile annual trip from Alaska to Hawaii to New Zealand to China and back to Alaska. Metabolism is based on many chemical reactions in the body that all have to take place at the same time. Flying birds have a furcula or wishbone that includes a kneeled sternum bone. The kneeled sternum is where the muscles attach to that are critical for flight. Scientists have never observed an animal without a kneeled sternum grow one and have special muscles attach to it. Scales on reptiles are nothing like feathers. A feather is a complicated plumage found only on birds. 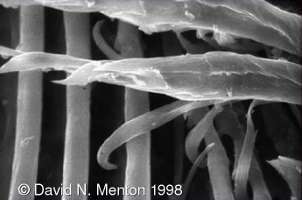 Feathers grow from a follicle like hair and consist of a stem that has barbs extending off of it. The barbs have barbules. The barbules have hooks. These hooks are just like microscopic Velcro that is designed with the exact curvature to hook onto the neighboring barbules. 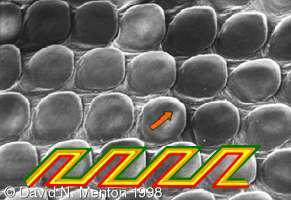 Scales are simply folds and pockets in skin and do not grow from a follicle. The reason a snake can shed its entire skin at once is because the scales are all connected, unlike feathers or hair. 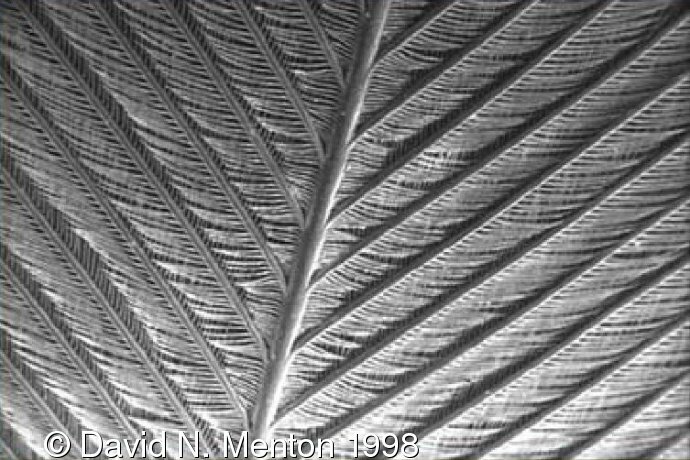 Feathers and scales are both made from keratin but that does not explain their completely different structures and design. 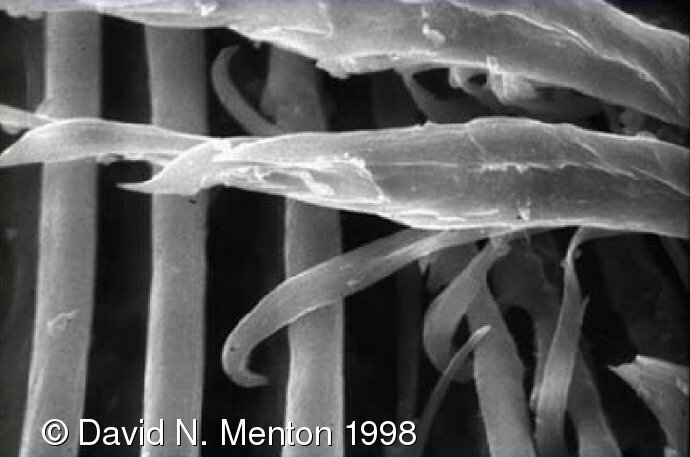 Shells, claws, beaks, and porcupine quills are also all made of keratin, not because of a common ancestor, but because keratin is well designed and suitable for many purposes. Some reports say dinosaurs had protofeathers based on fossils with lines found around the edges of the skin. 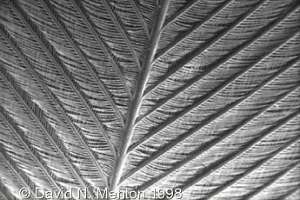 Protofeathers are in no way similar to feathers and are probably just frayed collagen fibers that originated from within the skin, not feathers from follicles outside the skin. 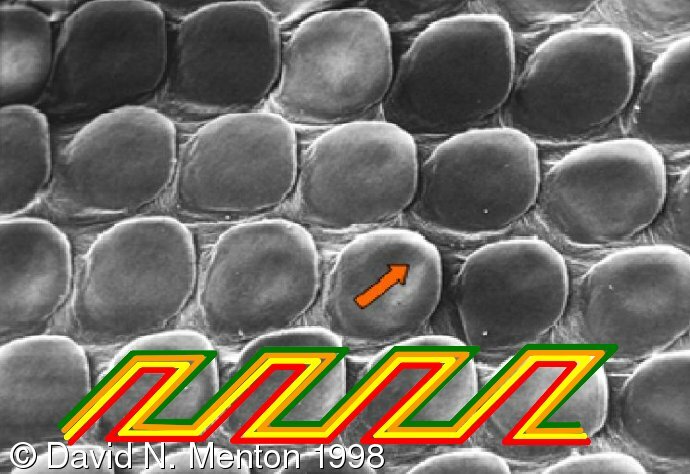 Scientists have never observed scales turning into follicles that could produce feathers. Birds have a uropygial gland, or preen gland, at the base of their spine that secretes an oil. Birds turn their heads 180 degrees and use their beak to rub the preen oil on their feathers. Without this lubrication the feathers on birds wings can not operate properly. Dinosaurs do not have a uropygial gland. Scientists have never observed an animal evolve a preen gland and the ability to turn their heads 180 degrees to access the bottom of their spine at the same time. For dinosaurs to have evolved into birds it would require dinosaurs to be around first but we find fossils of modern birds in layers before their supposed dinosaur ancestors. Confuciusornis feducciai and Confuciusornis sanctus are some examples of modern birds found in the Early Cretaceous period. 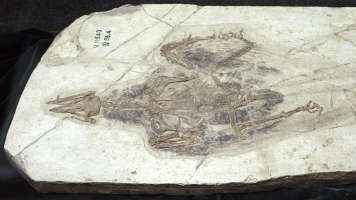 Feathered bird fossils like Jinfengopteryx and Archaeopteryx are also found in Jurassic rock layers. 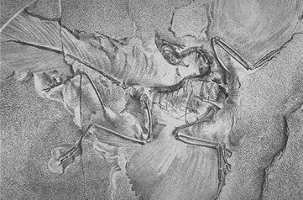 The fossil Archaeopteryx is considered by some to be a transitional fossil between reptiles and birds because of it has teeth and claws; however, now Archaeopteryx is considered to be a flightless perching bird. Other birds are known to have claws such as the ostrich and the hoatzin when it is young. 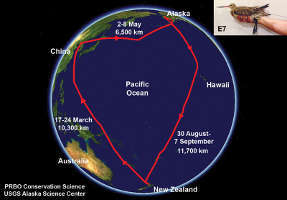 Also the Hesperornis birds have been found that contain teeth. So did dinosaurs evolve into birds? NO. Birds came first, then dinosaurs were created. And God said, Let the waters bring forth abundantly the moving creature that hath life, and fowl that may fly above the earth in the open firmament of heaven... And the evening and the morning were the fifth day. And God said, Let the earth bring forth the living creature after his kind, cattle, and creeping thing, and beast of the earth after his kind: and it was so... And God saw every thing that he had made, and, behold, it was very good. And the evening and the morning were the sixth day.